Laurie Zuckerman, president of Zuckerman Consulting Group, Inc. is an organizational consultant with expertise in strategic planning, leadership development, executive coaching, and teambuilding. Laurie has consulted with close to 100 organizations, including NASA, Cleveland Regional Transit Authority, Pro Football Hall of Fame, Children’s Hospital, Summa Health System, Stark County Department of Job and Family Services, and numerous closely held corporations. Laurie’s life passion is to develop strong, competent leaders who act both strategically and with humanity. Laurie’s coaching process increases her clients’ self-awareness and leads to a more satisfying, influential work life in which her clients get more of what they want for themselves and their organizations. In addition to coaching leaders individually, Laurie often coaches their teams so that everyone at the top is aligned and working effectively together. Her clients establish better strategy, create better plans, and implement in a way that engages everyone. In addition, Laurie served on the faculty of the International Gestalt Coaching Program for five years. Laurie has a Bachelor’s Degree in Civil Engineering, an MBA in Marketing, and more than ten years of training in human behavior (the latter at the Gestalt Institute of Cleveland and the Gestalt International Study Center). She is the author of On Your Own: A Woman’s Guide to Building a Business. 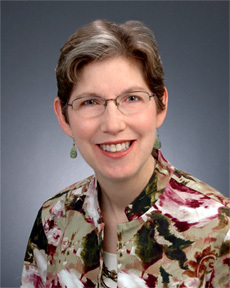 Laurie has served on Boards and committees for a number of community agencies, including Boys & Girls Clubs of the Western Reserve, Greater Akron Chamber, Mental Health America, Planned Parenthood, The Lippman School, Temple Israel, Stewart’s Caring Place, Leadership Akron, and the Women’s Endowment Fund (WEF) of the Akron Community Foundation. She is very proud to be one of the founders of WEF as well as the creator of its biennial forum on the needs of women and girls in Summit County. Laurie has received Leadership Akron’s Community Leadership Award, Women’s Network’s Founder’s Award, Fairlawn Chamber of Commerce President’s Award, the Jewish Community Board of Akron’s Leadership Award, the Lippman School’s Volunteer of the Year Award, and Sales & Marketing Executives Distinguished Sales & Marketing Award.